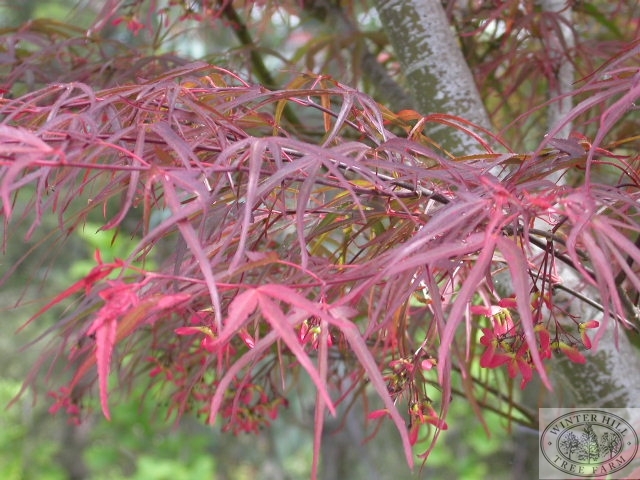 Acer palmatum Scolopodendron Rubrum - A shrubby plant to approx. 4m. Fine strap-like leaves 5-lobed, and are purple in spring becoming bronze-red in summer before turning bright red in autumn.